Formulated with colloidal oatmeal. Fast absorbing. Significantly improves the condition of dry skin in just two weeks. 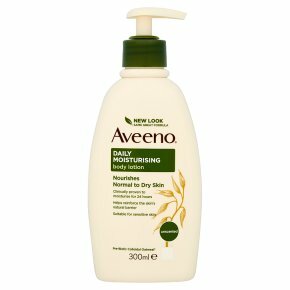 Normal to dry skin.AVEENO® Daily Moisturising Lotion is formulated with naturally active colloidal oatmeal, this fast absorbing lotion is clinically proven to significantly improve the condition of dry skin in just 2 weeks.